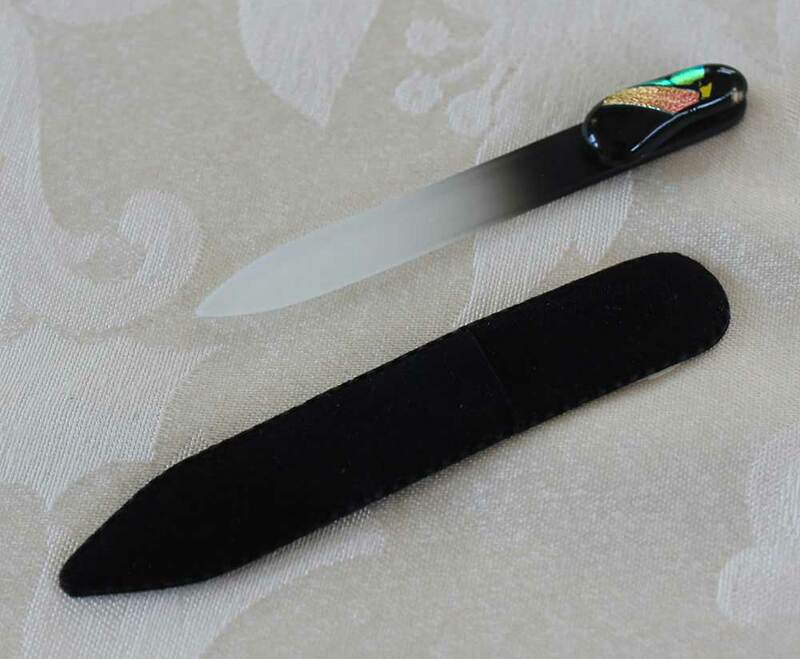 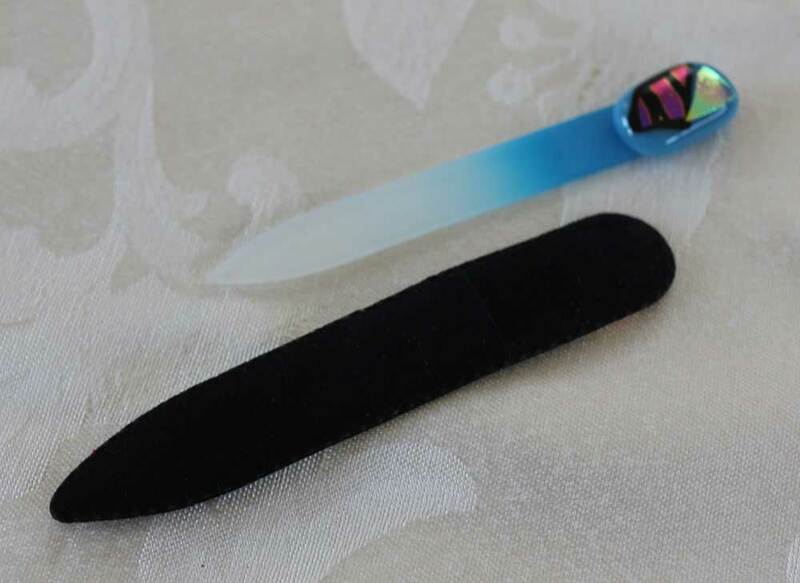 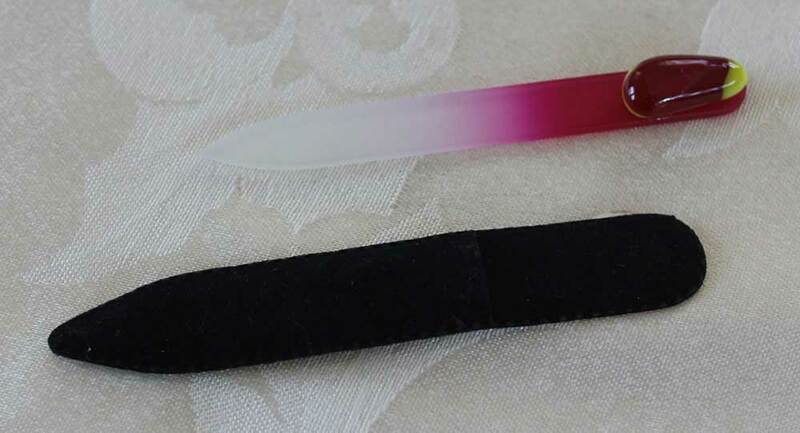 Treat yourself to one of these unusual nail files! 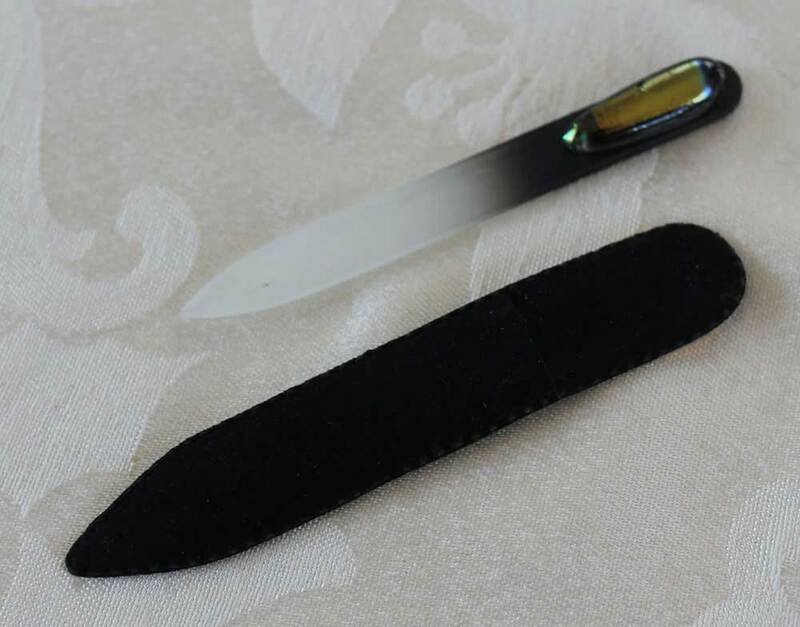 Each comes with its own black sheath. 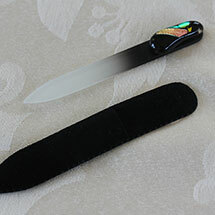 These four-inch files are made of tempered Czech crystal, which is much harder than standard glass. 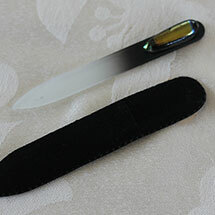 The surface will never wear out, and is much kinder to nails than emery boards or metal files. 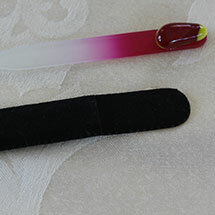 Your nails will be smoother and less likely to tear or break.